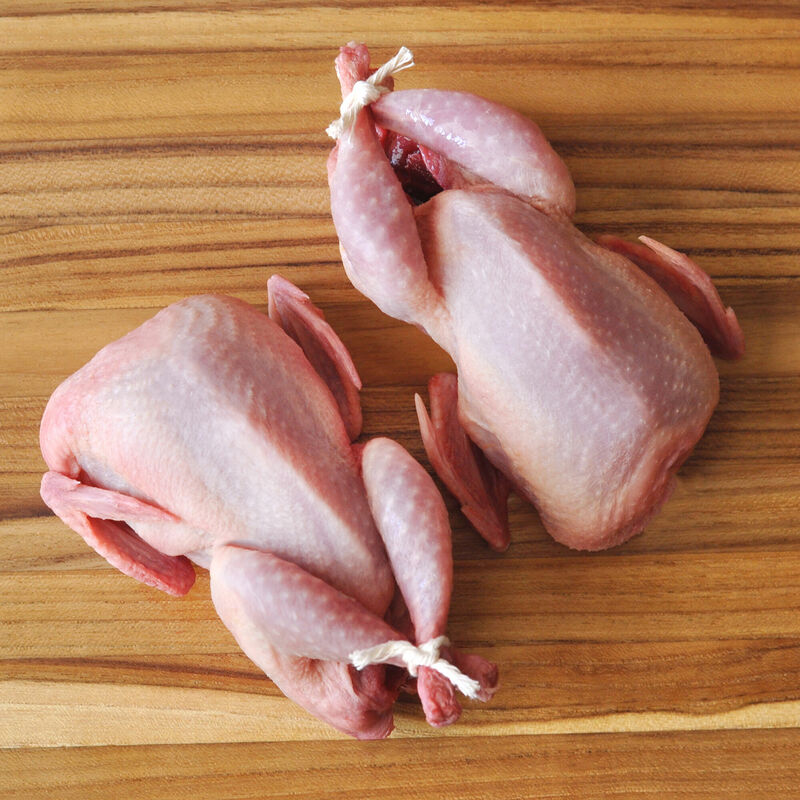 Exclusively available at D’Artagnan, our French quail are raised free-range, without the use of antibiotics or hormones on small farms in France. Because they grow longer, they are twice the size of the average quail, and even more flavorful. A cooperative of small farms in Southwest France raise our Coturnix breed quail. The birds are not given any hormones or antibiotics from birth, and are fed minimally-processed, non-GMO cereal grain. Humanely processed at 42 days, which is twice the industry average, the quail are air-chilled for maximum flavor concentration. The artisanal procedure includes dry plucking by hand and waxing to remove all the pin feathers, leaving a silky-smooth, intact skin.